Sautéing onions with a little bit of sugar is a classic technique for coaxing out sweetness. 1. In an 8 to 10 inch saute pan or skillet, warm canola oil over medium-high heat. Add onions, rosemary, 1/4 tsp (1 mL) pepper and a pinch of salt and sauté until onions are limp, about 2 minutes. Sprinkle sugar over onions and stir well. 2. Reduce heat to medium-low and spread onions out in pan. Cook until mostly caramelized, about 15 minutes, stirring once or twice and spreading out onions each time. If onions start to scorch at any point, turn down heat. 3. Pour pomegranate juice into pan; stir to release caramelized bits. Add blackberries to pan and press berries with a potato masher or the back of a large spoon to mash them into onion mixture. Sauté mixture until thick and jammy, about 5 minutes. Turn off heat and set aside. 4. In a small bowl, mash gorgonzola with a fork until spreadable. 5. Preheat broiler and adjust rack so it is about 4 inches from heat source. Place bread on baking sheet and broil until toasted on one side; turn bread over and spread thin layer of gorgonzola evenly over each slice. Return to broiler and broil until cheese has melted, about 1 minute. 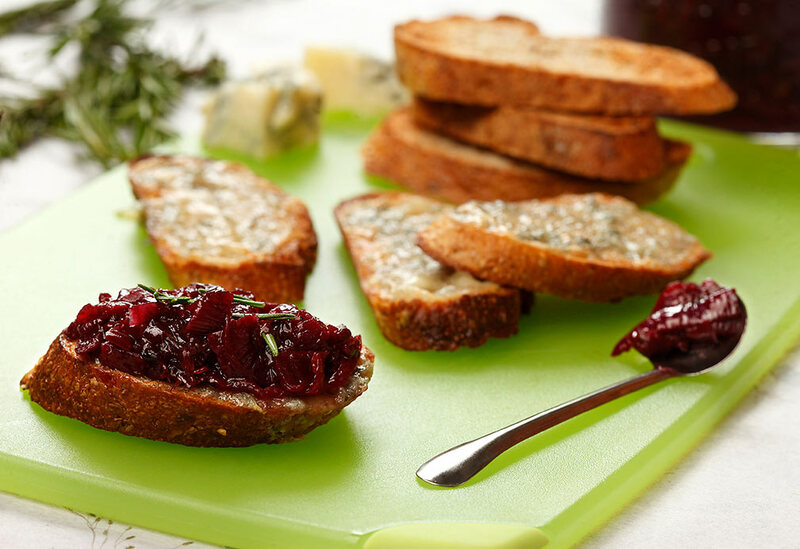 Spoon heaping teaspoon of onion-berry compote over each crostini, then grind more pepper over each one. Garnish with rosemary sprigs if desired. 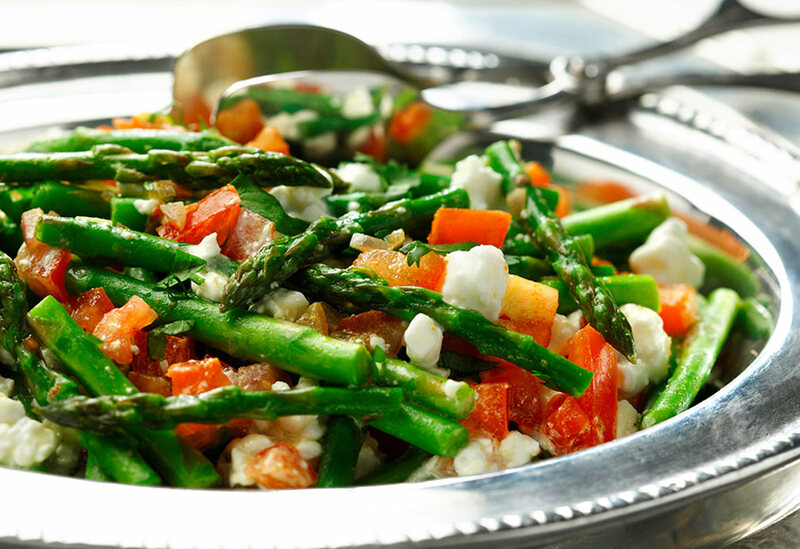 This easy side dish is great when fresh asparagus is in season during the spring and early summer months. Crumbled tofu is an acceptable alternative if you don't feel like cottage cheese.